Well, it finally happened — I unexpectedly received a rather large envelope stuffed full of paperwork from the IRS. My heart sank as I figured I would be dealing with an audit or something like that. When I opened the envelope the first thing I saw was that I supposedly owed taxes on unreported income from 2009, so I imagined days of digging through old paperwork, jumping through hoops, and redoing mathematical equations on two year old tax information. In the very month that both my taxes and my self-employment estimated payments are due, I would now also be dealing with an audit from the IRS. Yikes! After calming down and reading through everything that they sent, I started to understand that it wasn’t really a full-blown audit or anything that would be too painful to rectify. Rather, it would require a little research through my 2009 paperwork to find information on a 1099 form that the IRS said I they received but that I hadn’t reported. I know I don’t miss any 1099 forms, so I wasn’t too worried. Thankfully I have saved every tax return (and their corresponding forms) for the last 10 years. The majority of all of these are scanned and backed up digital copies in PDF form, because if I had to keep the paper versions of everything I would require the world’s biggest filing cabinet. For 2009 however I still have all the original copies, so I pulled out the folder for that year and went looking for the 1099 form I supposedly didn’t mention on my tax return that year. Sure enough, there it was right there with all the other ones (Ah, the joys of self-employment!) along with it being listed on my income sheet for that year. I added up all my income for the year and came up with the same number I used on my return, but upon looking at the final income figures the IRS thought I should have they were claiming that I didn’t report $4,000 in income. How could this possibly be? 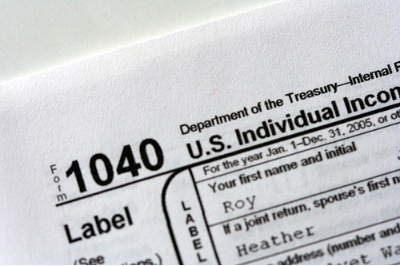 When I file my taxes, I add up all the 1099s from various employers and use that total as my income on my tax return. I don’t break it down by 25 different employer sheets, which would just complicate things. That being said, I now see the benefit of attaching a sheet with all the income broken out by employer. Because in this case, one of the employers made a mistake on my 1099 form from them, which caused my return to be kicked out of the IRS system for a second look. Normally, as a freelance 1099 “employee”, employers put what you were paid for the year in Box 7, the “Nonemployee Compensation” box on the 1099 form. But this employer put my income in Box 3 for “Other Income”, which screwed up my entire return. Because that income was placed in a different box, the IRS computers didn’t count it in my regular income but rather in “other”, which I obviously didn’t report because it didn’t exist! After crafting a response to their inquiry and making copies of the document in question, I will be sending all of this back to the IRS and hopefully putting it all to rest. While receiving a letter from the IRS can seem scary at first, it’s important to note that 78% of audits are done by mail and don’t require the dreaded face-to-face meeting with an IRS agent sitting at your dining room table looking through all your paperwork. Don’t get me wrong — when I first got that letter I panicked! But once I had a chance to read through the information and figure out what was wrong, I calmed right down and worked it out. When you don’t try to get away with not paying taxes, you don’t really have much to worry about. The important lesson to learn here is to ALWAYS keep copies of your tax returns and related documents for at least 7 years as you never know when they could be needed. Thankfully I learned that lesson years ago so I had everything necessary to take care of the IRS’ concerns. Do you have backups of all of your returns and documents? If not, start saving them this year and every year after! I received a similar letter a few months ago. The IRS was claiming I hadn’t reported some 1099-misc income from my blog. I was pretty sure I had and when I went back through everything confirmed that I had. The reason they couldn’t find it is that Turbotax lumped my 1099-Misc income on the same line with my unreported income. I initially freaked out but called an accountant friend who told me to just break out the line and show how it all adds up in a letter back to them. I did that and was happy to hear that they confirmed the details and closed the inquiry. It was definitely a bit stressful at first though. the exact same thing happened to me last year. I received 4 huge envelopes saying i owed taxes from each quarter from 2008. It turned out to be a mistake on their part, but i still had to pay my accountant to fix the problem. Even though i play by the rules, i get really scared every time i see an IRS letter. Fortunately things have worked out ok. I actually finished up a month early this year and did an efile with direct deposit. I got my refund within 10 days of filing. I was pretty shocked to see the wire transfer happen so quickly.